Shucard, D.W., Parmenter, B., El-Sohl, A. (2006). Computer analysis of sleep studies. Encyclopedia of Medical Devices and Instrumentation,. John Wiley & Sons, Inc., New Jersey, Vol. 6 (2nd ed. ), 213-224. Kordovski, VM, Covey, TJ, Adams, JA, & Shucard, DW. N-back performance measures and their relationship to neuropsychological tests of cognitive function. Presented at the 6th annual University at Buffalo Neuroscience Research Day, Buffalo 2012. Ma, Y, Covey, TJ, Lee, JT, Shucard, JL, & Shucard, DW. An event-related brain potential study of encoding and retrieval during working memory in SLE. Presented at the 6th annual University at Buffalo Neuroscience Research Day, Buffalo 2012. Covey, TJ, Shucard, JL, Lee, JT, Zivadinov, R, & Shucard, DW. Electrophysiological, behavioral, and structural indices of working memory dysfunction in Systemic Lupus Erythematosus. Presented at the 42nd annual meeting of the Society for Neuroscience, New Orleans, 2012. Kandel, A, Ching, MI, Covey, TJ, & Shucard, DW. Timing of Mobile Cardiac Outpatient Telemetry May Increase Diagnostic Yield of Atrial Fibrillation in Select Patients with Cryptogenic Strokes. Presented at the International Stroke Conference, New Orleans 2012. Published abstract. Shucard, J., Lee, J., Covey, T., Violanti, J., & Shucard, D.W. Heightened attention during a Go-NoGo task in police officers with high PTSD symptomology: A dense electrode event-related potential (ERP) study. Presented at the International Society for Traumatic Stress Studies, Baltimore MD, November 3-5, 2011. Covey, T.J., Shucard, J.L., Lee, J.T., & Shucard, D.W.. Single trial variability of event-related brain potentials as an index of neural efficiency during information processing. 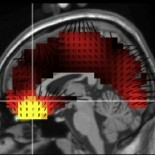 Presented at the Society of Neuroscience 41st Annual Meeting, Washington D.C., November 12-16, 2011. Zivadinov, R., Shucard, D.W., Hussein, S., Durfee, J., Cox, J.L., Benedict, R.H.B., Shucard, J.L. Conventional and non –conventional MRI manifestations of central nervous system involvement in systemic lupus erythematosus. The Organization for Human Brain Mapping 17th Annual Meeting, Quebec City, Canada, June 26-30, 2011. Shucard, J.L., Lee, J., Covey, J., Violanti, J., Shucard, D.W. Evidence of frontal dysregulation associated with heightened attention to task-irrelevant stimuli in police officers with high ptsd symptomology: a dense electrode array ERP study. Presented at the Society for Neuroscience 40th Annual Meeting, San Diego, CA., Nov. 13-17, 2010. Shucard, D.W., Chichelli, T.L., Lee, W.H., Covey, T.J., Lee, J. T., Shucard, J. L. ERP P3 Amplitude Change Over Trails During The Performance Of Working Memory N-Back Task In Older and Younger Adults. Presented to the Society for Psychophysiological Research at the 49th Annual Meeting in Berlin, Germany. October 2009. Covey, T., Shucard, D.W., Zivadinov, R., Lee, W., Dwyer, M., Shucard, J.L. Complex, not simple, processing speed is associated with working memory performance and structural MRI indices of brain damage in multiple sclerosis. Presented at the Society for Neuroscience 39th Annual Meeting, October 17-21, 2009, Chicago, Illinois. Carr, K.A., Shucard, D.W., Shucard, J.L. An Electrophysiological Study of Processing Stages During Verbal and Spatial Working Memory. Presented at the Society for Research in Child Development 2009 Biennial Meeting, April 2-4, 2009, Denver, Colo.
Shucard, J.L., Fetter, H., Shucard, D.W. , Cox, J., Chung, C., Bordanaro, R., Magill, A., Violanti, J. Symptoms of posttraumatic stress disorder are related to structural MRI and behavioral measures of affective stimulus processing in police officers. Presented at the Society for Neuroscience 39th Annual Meeting, October 17-21, 2009, Chicago, Illinois.